Inspired by the book: The Legend of Spookley the Square Pumpkin. 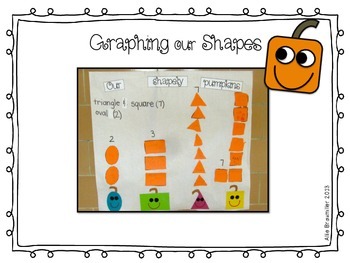 Reinforce student understanding of shapes by using this activity. 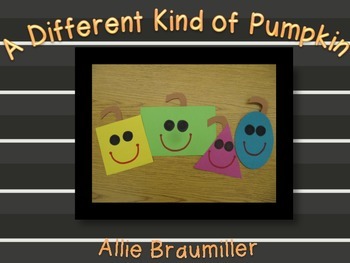 After reading, The Legend of Spookley the Square Pumpkin, students will create their own different shape/color pumpkin by using the included templates. 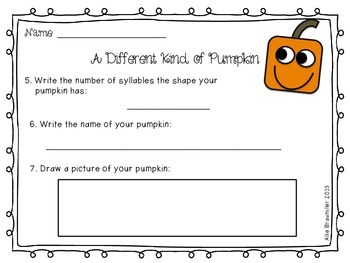 Students will then cut out a shape to match their "different pumpkin", which is used to make an entire graph for a whole group lesson. 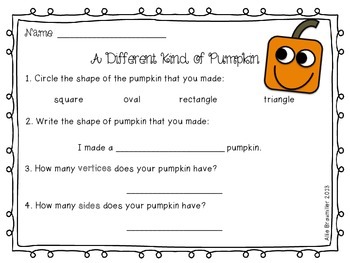 To follow up, there is a worksheet included for students to show what they know about the shape they created.